The center of the UTX high school idol group, A-Rise. The shortest among the three members with a striking forehead. Tsubasa is humble yet competitive. Despite A-RISE's popularity, she admits that she wasn't interested about it nor does she seemed concerned losing the popularity their group has achieved. 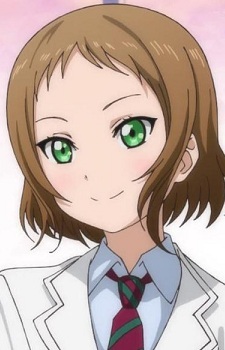 She never seems to look down on A-RISE's opponents, especially μ's whom she praises and respects. Though she admires them, she mentioned that she never wanted to lose to them.